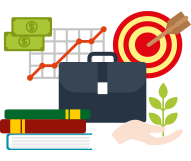 Are you looking for a 2-Way SMS service for your business, school, church, or another type of organization? Did you just sign up for our two-way texting platform and want to know how to use the service? 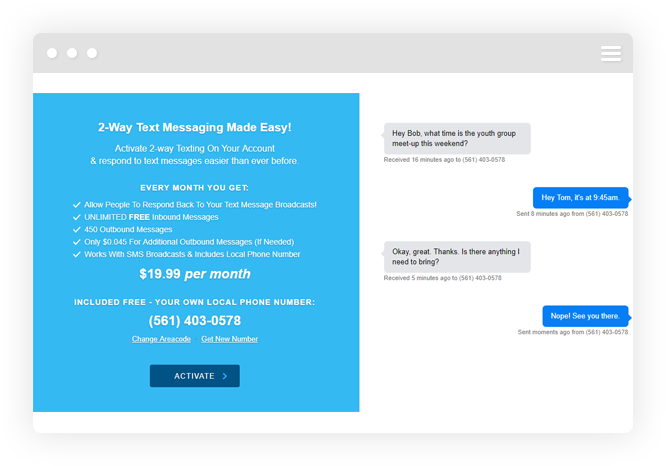 Below you will find an in-depth tutorial video on how you can set up your long code SMS vanity number and start creating 1-on-1 text message conversations today! Setting up 2-Way SMS is a complete breeze with DialMyCalls. The first thing you will do is select your local Long Code SMS vanity number – this is the number your recipients will use to get in contact with you through your two-texting interface. 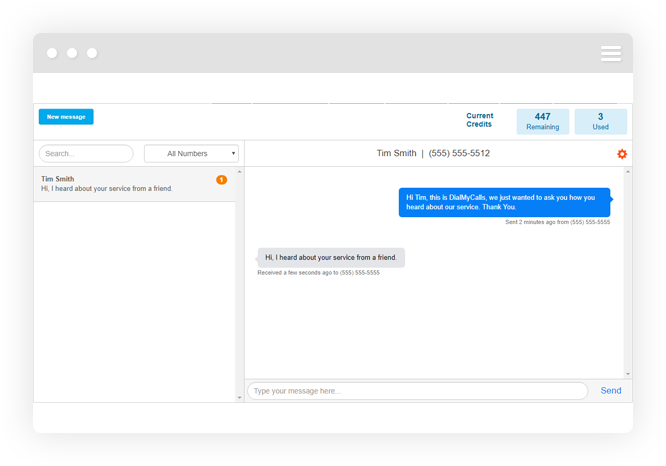 Once your Long Code SMS number is set up, you are now ready to start 1-on-1 conversations with your customers, congregation members, students, parents, residents, and many more. 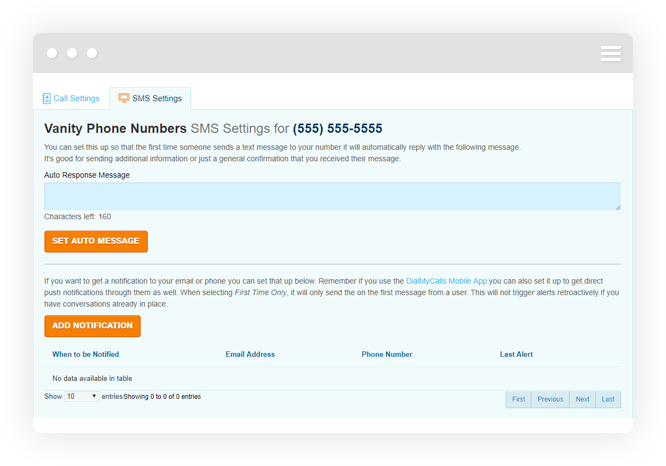 DialMyCalls’ 2-way SMS service has a variety of settings for you to set up and control the way your inbound texts are managed. Create notifications via email, text message or push notification to be alerted when you have new text message replies in your account. Never miss an important inbound text by taking advantage of the settings in your DialMyCalls account. 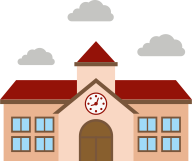 Within moments of setting up your new 2-Way SMS service you will be able to start engaging with your customers, congregation members, students, residents, and many more. Let everyone know what your Long Code SMS Vanity Number is and tell them if they have any questions they can simply text that number and you will reply back as soon as possible. Our 2-Way SMS replies appear in real-time from within your DialMyCalls account, allowing you to respond instantly.